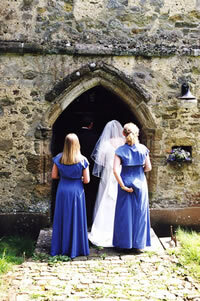 About Michael Chevis Photographer, Midhurst, West Sussex. Wedding, Commercial, Photography. Michael Chevis specialises in Weddings, Commercial, Fine Art and Sport, with a particular interest in Polo. He holds an archive of photographs from the area dating back to the 1950's, some of which have been brought together in his new book, "The Royals at Polo". The Michael Chevis Studio, in West Street, Midhurst, use both film and digital media; all processing is fully controlled in-house, enhancing the quality and turnaround of assignments. Digital media is much favoured by Michael's Corporate and Public Relations clients as this allows him to use his portable equipment on-site to produce prints on the day. This is particulary useful on corporate motor, golf or team building days. The Michael Chevis Photographic Studio in Midhurst is a comfortable drive to all of the major towns and cities in the South and is very convenient for weddings in the surrounding towns, such as Chichester, Arundel, Worthing, Brighton, Portsmouth, Southampton, Petersfield, Winchester, Salisbury, Alton, Haslemere, Guildford, Petworth, Billingshurst, Horsham, Reigate and London.